AWNY) Working Mother of the Year award. 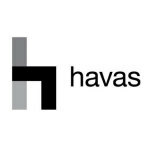 managing director of Havas Chicago Creative to president of Havas Media. landscape made this move a clear, easy next step. giving Havas Chicago and its clients creative edge. to ensure Village client growth and new business wins. website, or follow us on Twitter, Facebook and Instagram. in 118 countries, employing more than 5600 people. Havas Media U.S.
named 2016 U.S. Media Agency of the Year by leading industry trade Adweek.